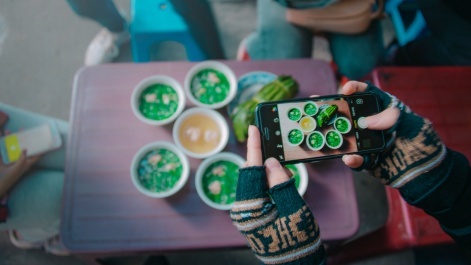 Strong photography, smart hashtags, sweet engagement: the most successful brands are pouring more and more social strategies into the photo-sharing app. As of June 2018, Instagram had one billion monthly active users around the world. But if you’re already running a business, juggling deadlines, dealing with clients, responding to customers, ticking off teeny-but-time-consuming tasks and possibly managing staff, just how are you going to find the time and energy to invest in it properly? Whether you work in marketing or PR, or want to grow your company or personal brand, obtaining the right toolkit for managing and boosting your ‘Gram game can make your social media stauncher, business better, and you sleep sounder. You can plan in posts for the week in 20 minutes, on a drag-and-drop calendar (dreamy). You can see what your feed looks like before you post on a visual planner (double dreamy). Business profiles can automatically publish posts, without being notified beforehand. You can reshare what your fans and followers are loving easily and in high quality. You can work out what’s going well (and what isn't) with the app’s analytics, which tells you when your followers are online most and tracks your likes, follows and clicks. Ever wonder why you take one gawp at an Insta-feed and follow immediately? Sometimes it can be as simple as a beautiful colour scheme. Yes, we’re really that easy. While Valencia’s vanilla glow and Clarendon’s cooling cyan can do wonders to a pre-edited snap, they’re no longer the bee’s knees of photo editing. VSCO is one step ahead, providing a fully immersive editing suite with a ship-load of filters. You can fine-tune your filters to create a unique look, then apply the custom settings to every photo - giving you that oh-so-covetable cohesive aesthetic. The app is available on iOS and Android. Go nuts. UGC may sound like bringing up phlegm, but it stands for something that will bring you a lot more joy. User-generated content. In short, content other people have created. There’s no fretting over tagging and giving credit correctly with this app - Repost will allow you to share an image from someone else’s feed, copy the exact description, add a credit icon and post to your account before you can say #blessed. 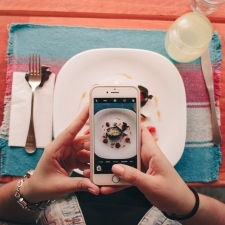 Most user’s love the recognition and your feed will look less inward-focused because of it. Repost is also available on iOS and Android. Publish directly to Instagram. A phrase marketers have been waiting to hear for years. It should be music to your ears, too - this feature saves a ridiculous amount of time and energy. You can now simply schedule your social posts on Sunday and let them roll out through the week. Hootsuite also allows you to scope out competition and the ‘search stream’ feature is a beautiful bonus for building engagement and followers. Hootsuite has a limited free plan or three paid-for plans you can use, depending on what you need. Not many brands and marketers are looking at Hashtagify when they’re knee-deep in Instagram hashtag research. That’s because it’s for Twitter. But what’s trending for one platform can give you a massive clue as to what’s hot on another - and searching phrases related to your brand on here can give you a massive bunk-up. Simply type in a relevant keyword or phrase and you’ll be given a hashtag cloud. Each hashtag can be clicked on to dive deeper into niche tags. The popularity of the hashtag and up-and-down trends can give you a more strategic focus for your own content - putting you one step ahead of your competition. Smug face. Hashtagify has a seven-day free trial and three types of pricing plan: personal, business and enterprise. The time to get onboard with Instagram is right now. With constantly evolving features like Instagram Stories and IGTV (long-form videos to lure vlog-lovers from YouTube), the app is gaining more and more popularity. And for every new feature to drop, there’s bound to be a tool to help you get the most from it.